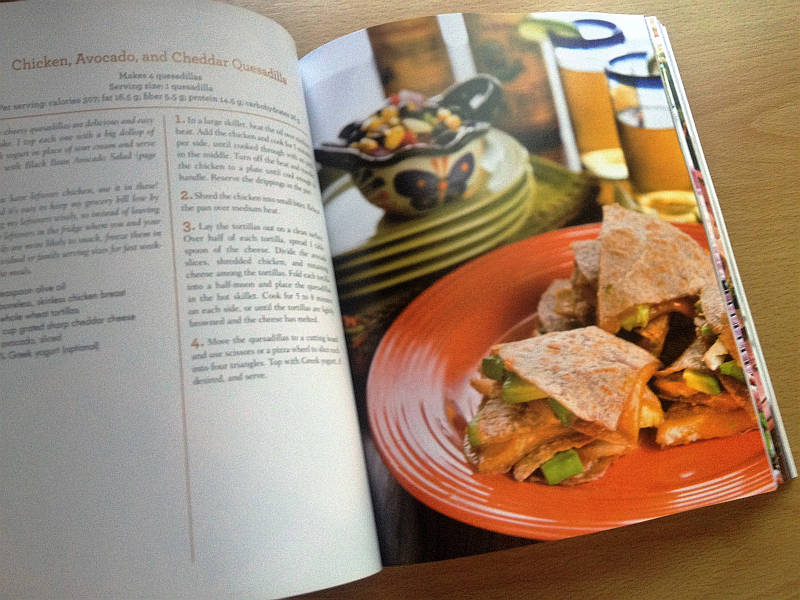 Healthy New Cookbook Review: Lose Weight by Eating – Get Cooking! 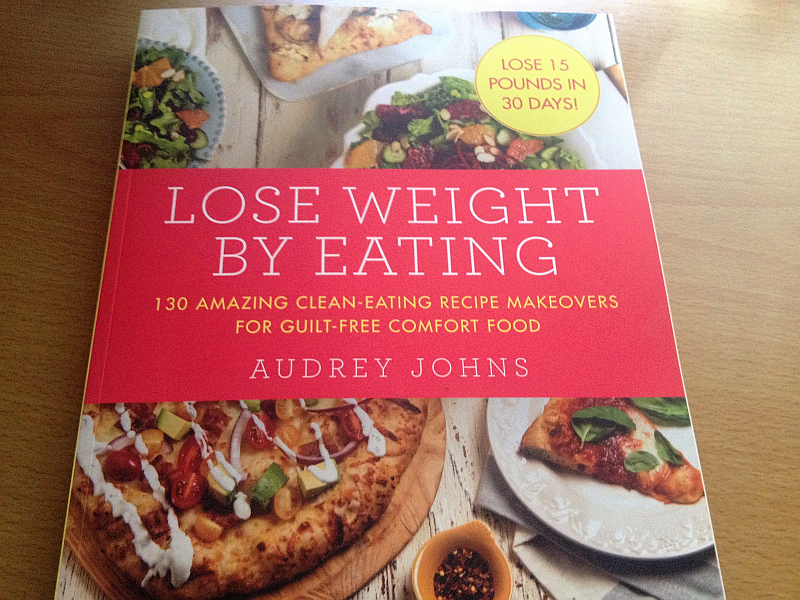 Lose Weight by Eating by Audrey JohnsOne of my favorite parts of being a food blogger is the opportunity to review new cookbooks. As a cookbook collector, they’re a great passion of mine, so getting my eager hands on the newest and best cookbooks makes me kind of giddy. 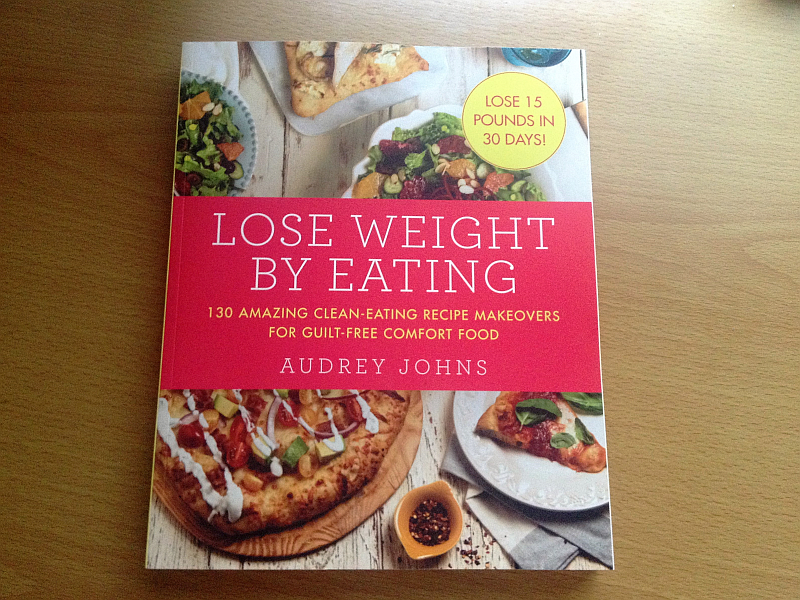 One of the newest cookbooks I’ve had the opportunity to review is Lose Weight by Eating by Audrey Johns. This beautiful cookbook is packed with great recipes for healthy, clean eating. You won’t miss the extra fat and calories because author Audrey Johns has replaced them with tons of flavor and creative combinations. Imagine losing eight to sixteen pounds the first week and fifteen to twenty-five pounds a month eating skinny pizzas with only 125 calories per slice or 150-calorie cheesecake bars! Lose Weight by Eatinglets you enjoy these delights and more, such as “Jelly Doughnut” French Toast, California Club Pizza, Whole Roasted Chicken with Potatoes and Onions, Veggie Packed Lasagna, Cheddar Stuffed Turkey Burgers, Chocolate Peanut Butter Dip with Fruit, and Skinny Cheesecake with Raspberry Drizzle. Audrey also provides a handy six-week meal plan and weight loss tips to keep you motivated. 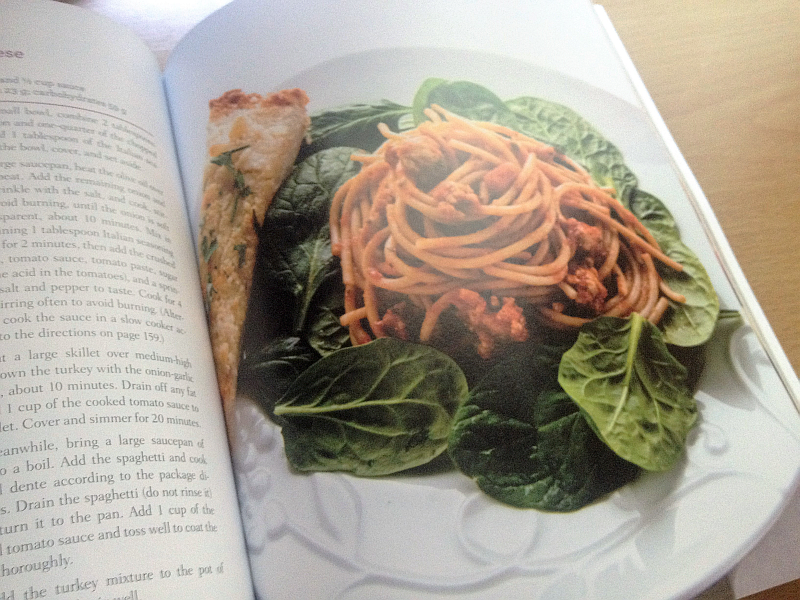 Spaghetti Bolognese from Lose Weight by Eating After losing more than 150 pounds (150! ), Audrey Johns started LoseWeightByEating.com and has, over time, helped thousands of people lose weight and get healthier. Her story has been featured on CBS’s The Doctors. She was also on the cover of Woman’s World magazine and was even a chef contestant on the second season of ABC’s The Taste. Audrey hosts a clean-eating video series on eHow.com and writes food, wine, and travel columns for local magazines. And MANY more – 130 in all! Lose Weight by Eating by Audrey JohnsIn addition to beautiful pictures accompanying each recipe (love that), I’m also crazy about the information and inspiration that comes at the front and end of the book. Meal planners and even sample menus will help anyone get on track. The author has also included plenty of information on making her wonderful recipes very “kid friendly” – this really excites me because childhood obesity and diabetes can be prevented if adults will simply put the child’s health first. Whether you’re looking to lose weight, maintain your weight, get healthier, or simply enjoy good, clean, healthy food, you’re going to really, really love Lose Weight by Eating by Audrey Johns. It’s a wonderful addition to any cookbook collection. I know it’s one I’ll use again and again.